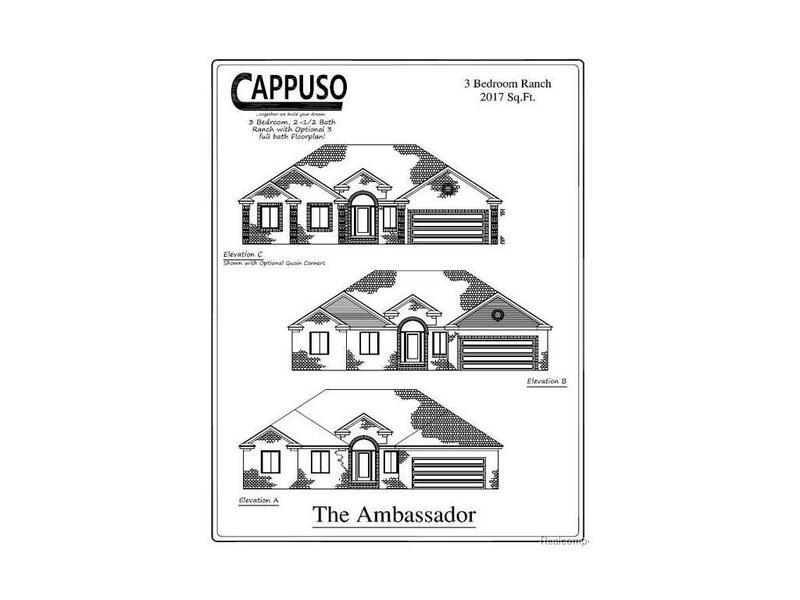 Beautiful New Construction Home **TO BE BUILT** by Cappuso Homes! Nestled on a beautiful lot at the in the popular Sorrel Woods Sub. This Ambassador Ranch style home features a tiled foyer that leads to an elegant great room with cozy fireplace. An amazing custom kitchen with a 4x6 center island and breakfast area. Granite countertops in kitchen, bathrooms, and laundry room. Stylish and spacious, this home features three bedrooms, a den and two and a half baths and a three car garage, plus there is room for a second detached garage if desired. Build to suit is also a possibility as this home has not yet been started.